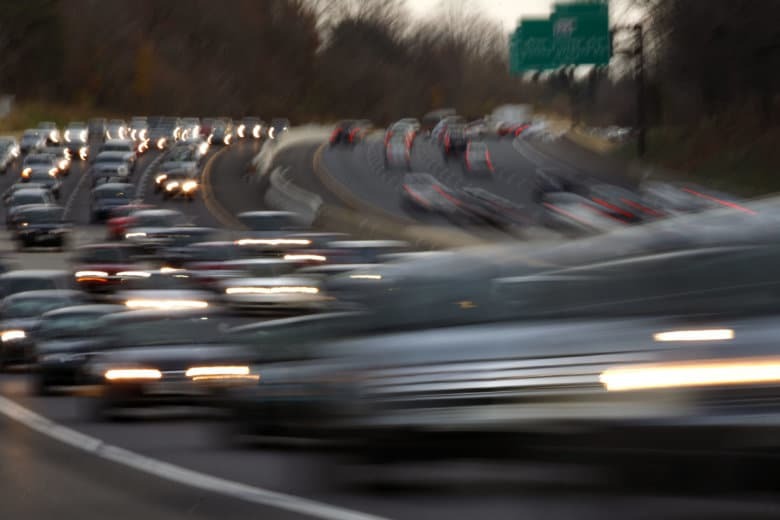 In theory, elected officials in Montgomery and Prince George’s Counties have 9 billion reasons to get behind the Hogan administration’s efforts to ease traffic congestion in the notoriously traffic-plagued capital region. So far, it isn’t working out that way. In 2017, Gov. Lawrence J. Hogan Jr. (R) announced a $9 billion plan to widen the Capital Beltway, the Baltimore-Washington Parkway and Interstate 270 by adding four lanes, two in each direction, to all three highways. Transportation advocates hailed the plan when it was unveiled, calling it bold and overdue. And they praised Hogan for acknowledging that the status quo — ever-lengthening commute times and untold hours wasted in traffic — is unsustainable. State transportation officials are slowly fleshing out the governor’s plan. Last month, the Board of Public Works approved a $90 million contract to study the planning, final design and construction of the added capacity to the Beltway and 270. But nearly 16 months after Hogan announced his plan, officials from the two counties that would benefit the most from it continue to express concern, skepticism and opposition. In an interview last week, Prince George’s County Executive Angela D. Alsobrooks (D) said she has yet to formulate a position on Hogan’s plan, and likely won’t do so until she has a chance to meet with him. But she was quick to point out that her constituents oppose it. An aide later said that Alsobrooks was referring to an October 2018 Washington Post survey that found 35 percent of Prince George’s County residents support the state’s plan, with 62 percent opposed. But other polls taken over the past few years have shown greater support for the road-widening concept, and the Hogan administration is banking on motorists’ frustration with intractable traffic problems to win backing from the public – and their local elected officials – for the governor’s plan. Because the General Assembly has many newcomers, administration officials, led by Transportation Secretary Pete K. Rahn, have been busy briefing legislators on their proposal over the past few weeks. After one hearing, before the House Appropriations Committee on Friday, Del. Marc Korman (D), the chairman of the Montgomery County House delegation, accused the governor’s team of promulgating “a false narrative” on how best to confront the capital region’s over-taxed road network. “Clearly there are alternatives to the governor’s preferred approach,” he added. Montgomery County Executive Marc B. Elrich (D) also opposes Hogan’s plan. He believes the state should add two lanes to I-270, one in each direction, or reversible, flowing in the dominant direction of traffic. And he is pushing Maryland to relieve bottlenecks that form at the American Legion Bridge first, before undertaking a billion-dollar transportation proposal. Numerous officials in the two counties have expressed concern that there isn’t enough room to expand four lanes on the roads Hogan wants to widen without taking homes and businesses, despite a pledge from Hogan last September that not a single home will be taken through eminent domain. Opponents of this approach express fear that only high-income people will be able to afford the new lanes, leaving everyone else to sit in traffic. Recently-built express lanes on Interstate 95 north of Baltimore City use this approach and it works well, the administration insists. Rahn told Maryland Matters that there is no way to do a project of this magnitude without the involvement of deep-pocketed firms. Rahn and Maryland State Highway Administrator Greg Slater addressed the Montgomery House delegation on Friday, with Elrich in attendance. In an interview on Sunday, the county executive praised both men and said he looks forward to discussing the project in more detail, even as he continued to express concerns about Hogan’s approach. He noted that the state recently re-striped part of the 270 spur, gaining a lane in the process. And he stressed that adding two lanes to the road — reversible, or one in each direction — can add significant capacity, using existing road surface, at a fraction of the cost and much more quickly than the Hogan plan. “But the Beltway is too narrow” to widen, he said. Elrich also expressed concern that even an expanded Beltway will empty traffic onto local roads that are clogged, minimizing the impact of widening the highway.